We cook our meats overnight until flakingly tender. Our authentic Korean, BBQ or Mexican sauces are then added. Great fillings for rolls, wraps and tacos. All our pulled beef and pulled pork is guaranteed Irish and fully traceable. 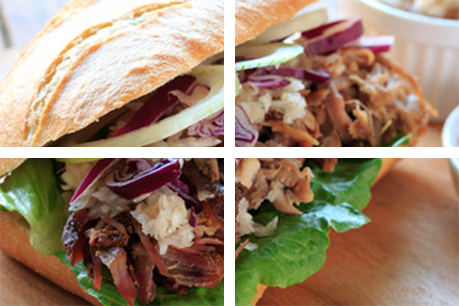 We're a supplier of wholesale pulled meats in Ireland.